Just outside downtown Medford, on the road that Paul Revere took to Menotomy (now called Arlington) sits a rustic church of stones, as if from the European countryside. It’s the Grace Episcopal Church built in 1868 by the important American architect H.H. (Henry Hobson) Richardson early in his career. Actually, it’s his oldest building still standing. Richardson is most well known in Boston for his landmark Trinity Church which was built a decade later in Copley Square—home of the Boston Marathon’s finish line. There are lots of Richardson-designed gems in the region, as his practice was in Brookline, Massachusetts. That said, while he was a local architect, his reputation and influence was certainly national. He, along with Chicago’s Louis Sullivan and Frank Lloyd Wright, are often considered the holy trinity of American architecture. 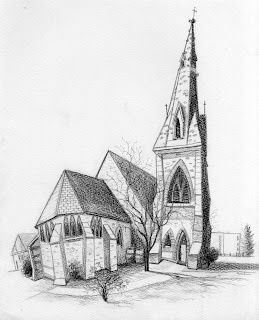 Medford’s Grace Episcopal Church is a bit unusual, in that it preceded his signature “Richardson Romanesque” style of architecture. 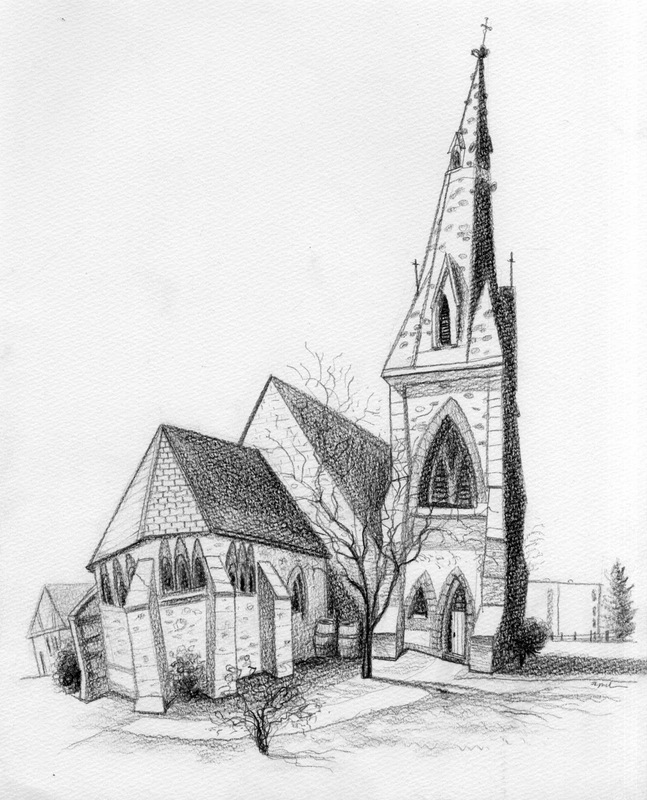 This church was created in a Gothic Revival style, perhaps reflecting works the young architect saw in Europe when he was a student at the École des Beaux-Arts in Paris. The structure surface features rough-cut glacial rocks and granite blocks. The roof is of gray and red slate. With the Church, stands a tall tower holding nine bells which were originally hung in 1873. The largest was given by the city of Medford to be used as the city’s fire bell. The bells were cast by the Blake Brothers Company who were successors to a famous bell foundry in the North End of Boston, founded by none other than Paul Revere himself.